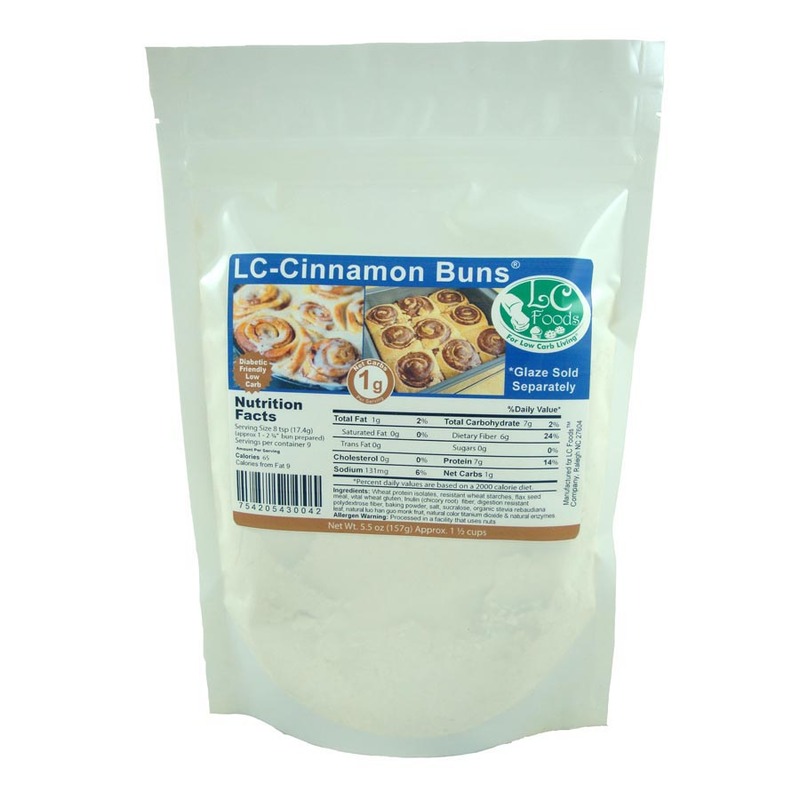 Low carb cinnamon buns with only 1 net carb per bun. 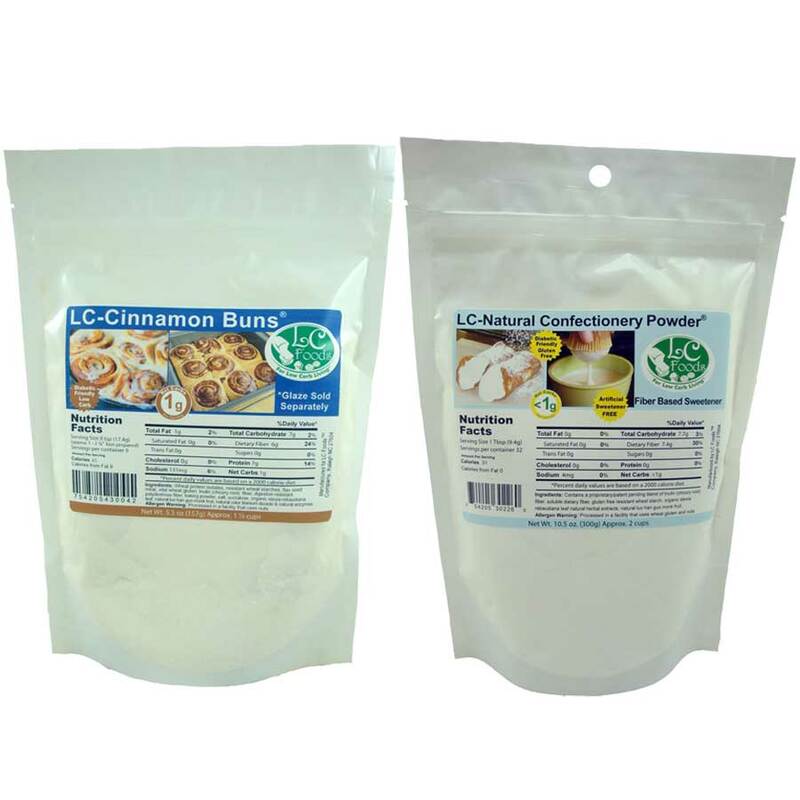 Tastes delicious, you won't believe they are low carb! 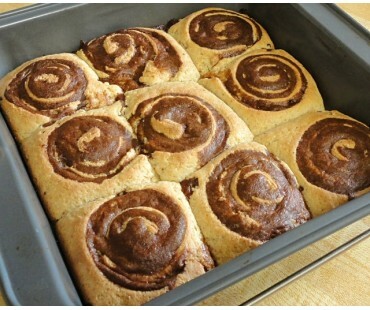 Easily the most delicious cinnamon buns you've had since you started the low carb lifestyle! 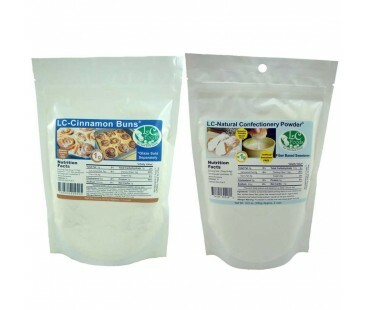 The mix comes with the Cinnamon Sugar Filling Pack. 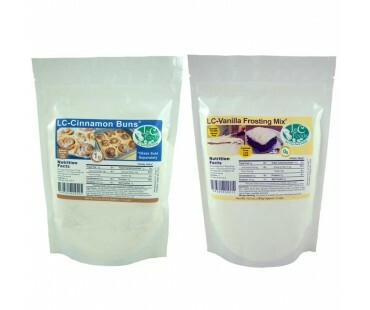 Available bundled with our low carb confectionery powder mix so you can make a glaze topping or with our low carb vanilla frosting for a real treat! 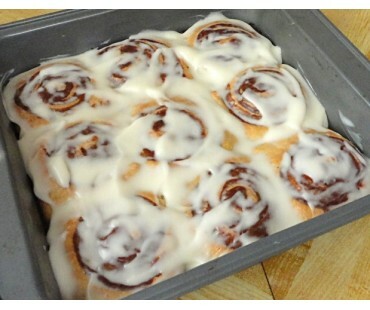 Make the whole batch - they freeze well - for your convenience. 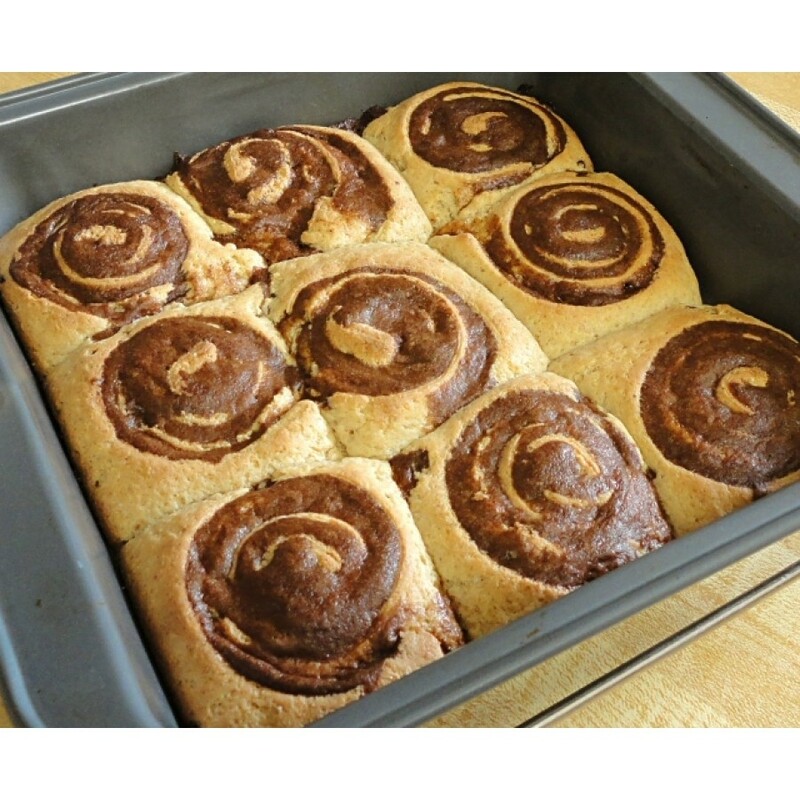 Here is an interesting recipe using our low carb cinnamon buns: Take 2 cinnamon buns and cut each in half. Layer as follows - cinnamon bun bottom, 1 slice Cheddar cheese, 1 slice Brie cheese, apple slices, shredded ham, 1 slice Brie cheese, 1 slice Cheddar cheese, top of cinnamon bun. Repeat with other bun. Whisk 2 eggs together with 1/4 cup milk. Melt 2 tablespoons butter in skillet. Dip both sides of each sandwich quickly into the egg mixture, and pan-fry until golden brown on each side - about 2 minutes per side. Sounds great, doesn't it? 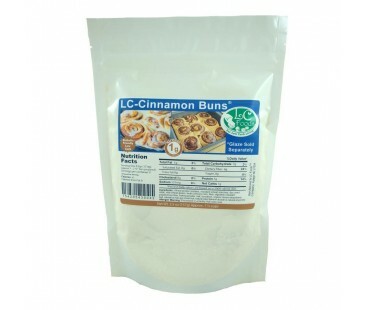 These low carb cinnamon buns have a healthy dose of protein and dietary fiber. 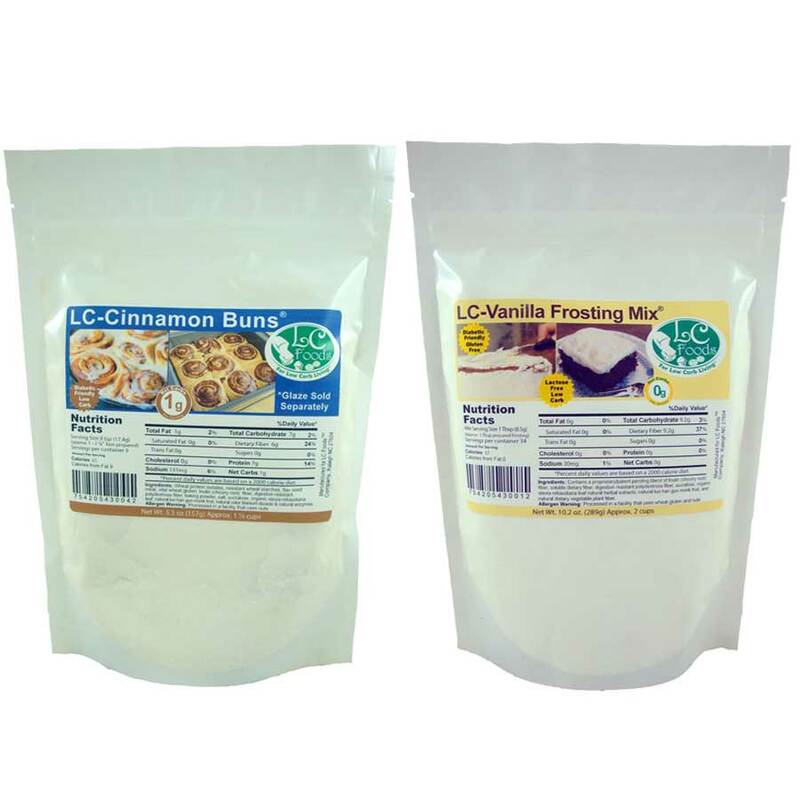 As with all LC Foods low carb products, there's no sugar added (of course!) and no preservatives! * Make sure to use fresh instant, rapid rise or bread machine yeast for best results. 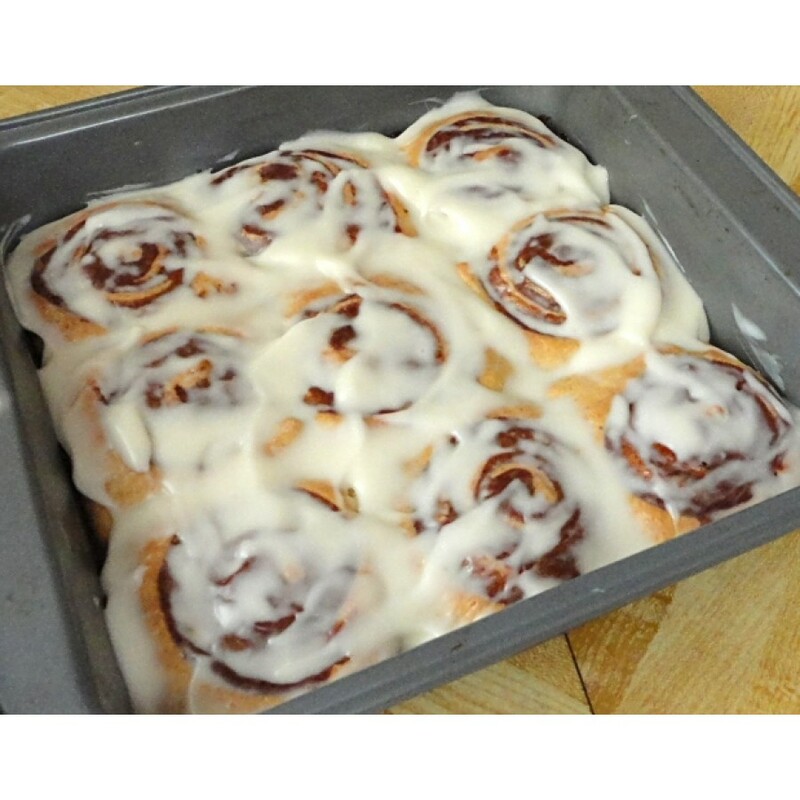 If your yeast is more than two months old, your cinnamon buns may not rise as much or at all. Cinnamon Roll taste ok..but will not rise,Use extra yeast and follow directions..still flat. 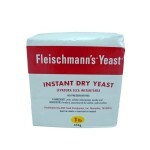 *** LC-Foods Added comment - Clara, This sounds like you had bad yeast or it was not instant yeast used We are happy to replace your package for you, let us know. 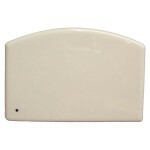 My favorite product so far! I had a problem with the glaze recipe, but they didn't even need it! Already plan on ordering more! 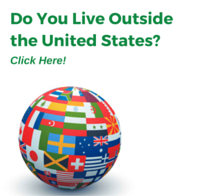 These are so much fun to make with my children. They love the way they taste. We try to make them on the weekends and freeze a few for the weekdays for a fast breakfast.